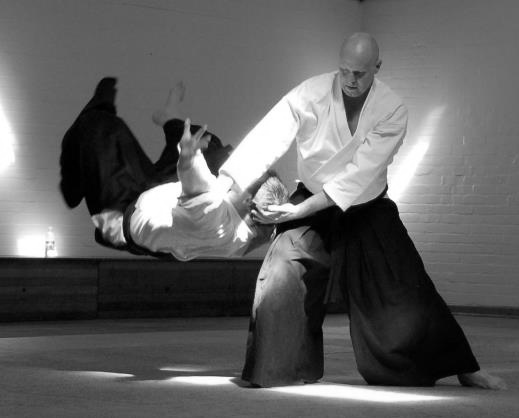 This video training note refers to the first in a new series of training videos prepared by Peter Kelly Sensei (7th Dan Aikido Yuishinkai) dealing with the topic of ukemi and uke arts in Aikido Yuishinkai practice. The Founder of Aikido Yuishinkai, Master Koretoshi Maruyama, has asked that the development and advancement of high level ukemi skills be given a priority focus in our Aikido training in Australia this year. To this end Peter Kelly Sensei, Technical Director for Aikido Yuishinkai in Australia, has been travelling the country to give ukemi (and other Aikido) training to Aikido Yuishinkai members. Remaining relaxed when taking ukemi, including when breakfalling. Well Saturday was a scorcher in terms of the weather and I must say I was surprised how many of us decided to hit the mat. I can’t recall the last time I trained in such heat. The fact that we all stuck in there until the end (including a rather energetic round of taninzugake) is either a testament to our dedication or madness. Anyhow – on with the notes. This week we looked in more detail at the backward roll (ushiro ukemi). As most people will attest, backward rolling when you first start out can be something of a challenge. In essence a backward roll is nothing more than a forward roll executed in reverse. The problem is if you have poor form in your forward roll (e.g. you circus tumble) and then attempt to execute that poor form in reverse, the chances of successfully executing the roll are close to nil. There is also the possibility of injuring your neck in the failed attempt. Below is a link to a You Tube video demonstrating step-by-step how to forward and backward roll by Donovan Waite Sensei (7th Dan). I would highly recommend anyone who is learning to backward roll or just seeking some pointers on how to improve their backward (or forward) rolling to closely study this video clip. Further, it’s an excellent resource that caters for those interested in beginner or advanced ukemi. This week we practised kaeshi waza in the context of reversing the execution of katatedori shihonage tenkan (i.e. same side one hand hold – four direction throw). 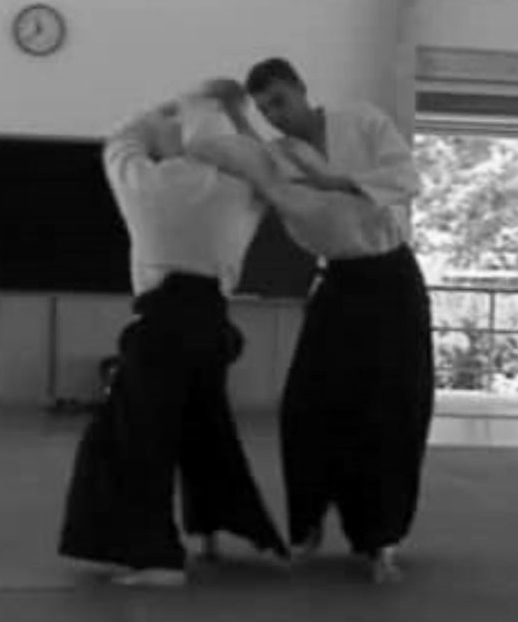 The significance of this practice was to demonstrate how relatively easy it is to reverse a katatedori technique if the uke’s balance is not taken at the moment of first physical contact with the nage (the person executing the technique). For those interested in looking at this kaeshi waza technique again, you may wish to check out the first part of the following You Tube clip: Kaeshi waza 1 (at o:40 mark). Katatedori techniques were the theme this week with a particular emphasis on unbalancing the uke (the attacker) at first contact. This takes considerable practice. In class we looked at how to unbalance a uke by making contact with the uke’s grab prior to that expected by the uke and, in addition, unexpectedly offering no clash at the time of the early contact. A You Tube video that neatly demonstrates and explains this concept is Aikido Kuzushi Katsu Hayabi Effortless Activation. For those who keep a record of such things, the techniques practised this week were Katatedori ikkyo ura and Katatedori irimi kokynage. Craig Boyd Sensei kindly agreed to provide us with an instructional session on full contact kokydosa with a standing nage. I find this type of training quite interesting as it really steps up your sensitivity and hones your awareness of your center. One thing that I did notice was that when we eventually went back to practising standard kokydosa, the practise from the nage’s perspective felt absolutely effortless. I would like to particularly thank Craig Sensei for sharing his knowledge of this rather novel form of practice with us. It’s really interesting stuff and also a reminder of the rich Samurai heritage that predated the formation of Aikido. With gradings set for 26 January 2013, Gary and Zac gave excellent demonstrations of the “sword of nine ways” and “Shooting star” weapons katas. Skills acquired through committed weapon practice translate directly and positively to improving our unarmed techniques. Benefits of weapons practice include the development of ki extension, correct posture, calmness of mind, foot work, atemi (striking), moving from one’s centre, coordination, focus and calmness of mind. Big thanks to Craig Sensei, Gary and Zac for their contributions in this part of the class, which also served as a tool for looking at some of the ceremonial aspects of our martial art, particularly in a grading context. 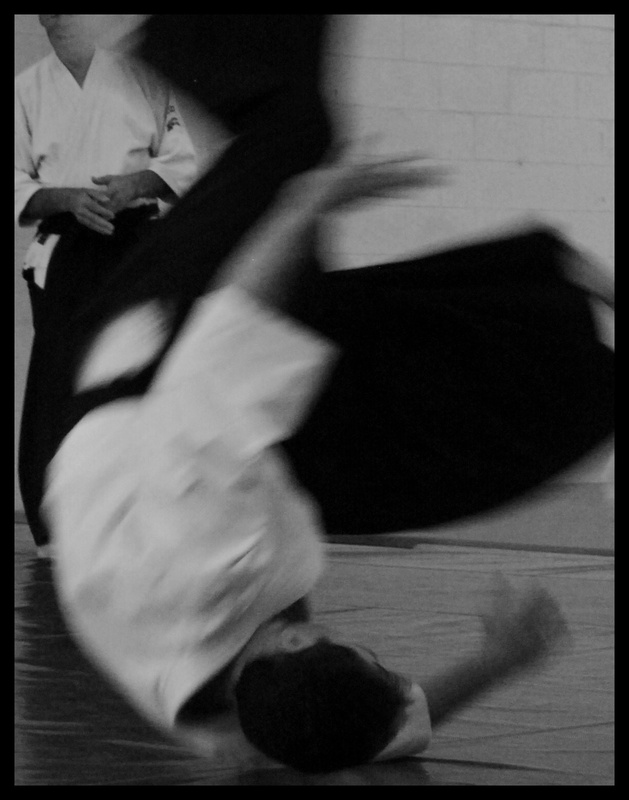 Posted in All posts, Training - Falling and ukemi arts, Training - Unarmed techniques and tagged Aikido, Aikido training, Aikido weapons, Backward roll, Donovan Waite Sensei, Ian Grant, katatedori, Kuzushi, ukemi on January 14, 2013 by Aikidowarrior.